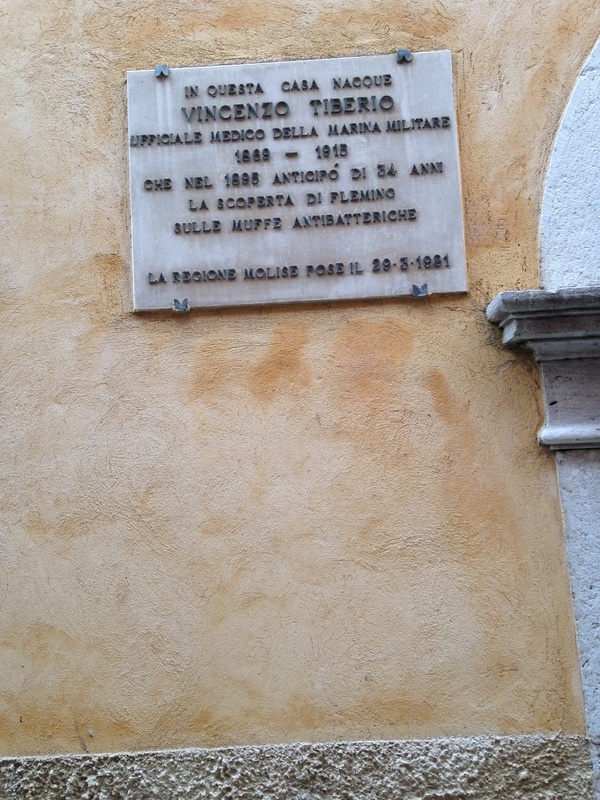 Vincenzo Tiberio was born in Sepino in 1869. 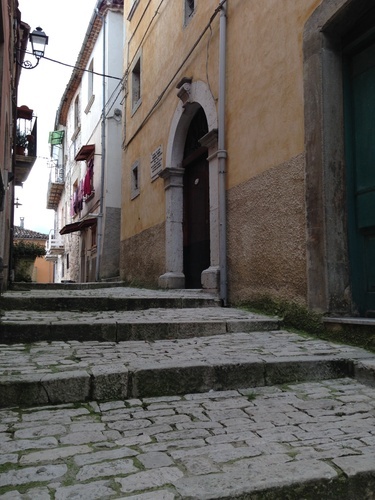 In the central square of the little town (Piazza Prisco Nerazio, 40) there is the back of Tiberio's home, where the Municipality, in August 1956, placed a memorial tablet to remember him :"A / VINCENZO TIBERIO / CHE / PRIMO NELLA SCIENZA POSTUMO NELLA FAMA / DAL 1893 RIVELO' / IL MISTERIOSO POTERE DEGLI ANTIBIOTICI". 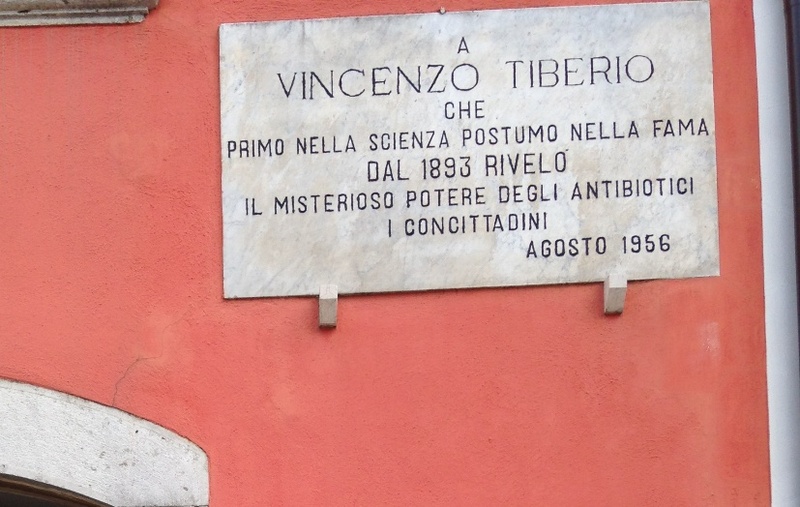 ( To / Vincenzo Tiberio / which / the first in science posthumous in fame / since 1893 revealed / the mysterious power of antibiotics / the citizens / Augoust 1956 ) . 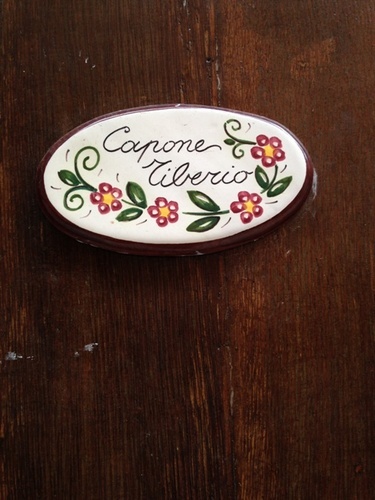 If you want to enter to Vincenzo Tiberio's home, you have to walk a narrow road, not far from the square, and you arrive to the main entrance, where on the wall, next to the door, there is another tablet affixed by "Regione Molise" in 1981 :"IN QUESTA CASA NACQUE / VINCENZO TIBERIO / UFFICIALE MEDICO DELLA MARINA MILITARE / 1869 - 1915 / CHE NEL 1895 ANTICIPO' DI 34 ANNI / LA SCOPERTA DI FLEMING / SULLE MUFFE ANTIBATTERICHE". 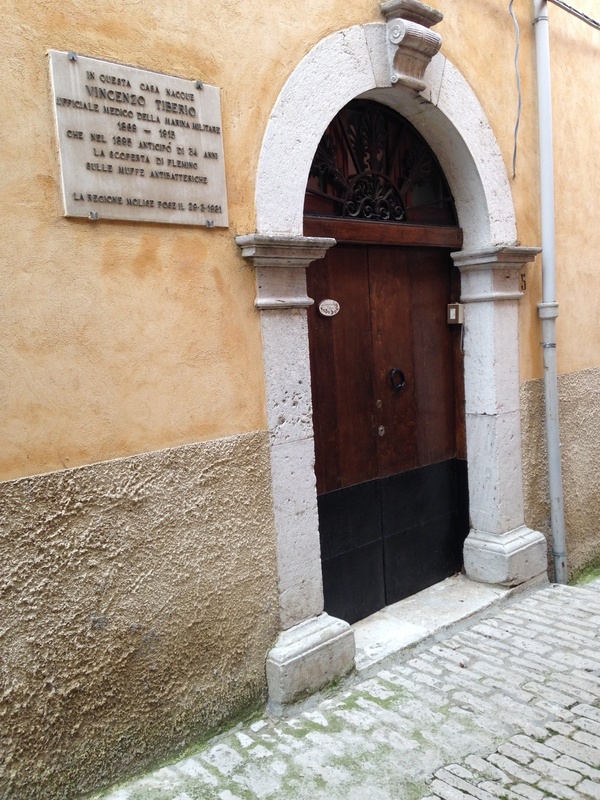 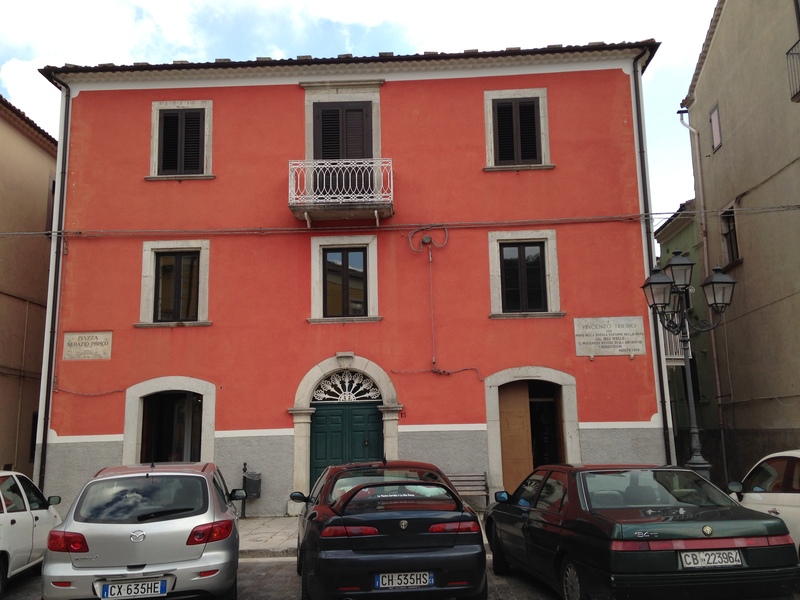 (In this house was born / Vincenzo Tiberio / medical officer of the navy / 1869-1915 / which in 1895 anticipated 34 years Fleming / on the discovery of antibacterial moulds) . 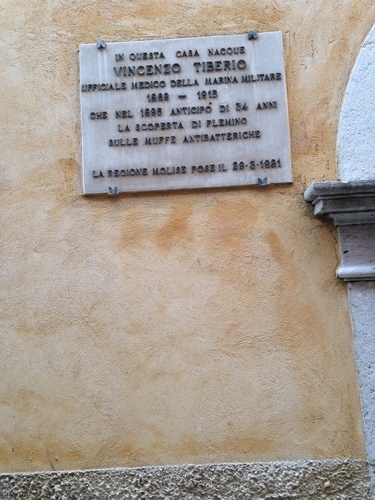 Today Vincenzo Tiberio's old house belongs to his niece and it is used as a holiday home.